The Angela Carter Society seeks to celebrate and promote the study and appreciation of the life and work of Angela Carter, one of the greatest writers of the twentieth century. This society aims to create an international community of Angela Carter scholars and passionate readers to share and discuss historic and contemporary developments in the field of Angela Carter studies. Members will have exclusive access to a contact list with information about members’ interests, the annual newsletter and our annual Angela Carter Society Conference for members to meet and share the latest Angela Carter scholarship. Membership to this scholarly society is by an annual subscription which will open on 1 Sept 2018. In the meantime, please register your interest via the Contact Form below. We are seeking proposals and expressions of interest in hosting future Angela Carter Society conferences. You can see the full guidelines on how to submit your proposal on the Annual Conference page. Please spread the word! 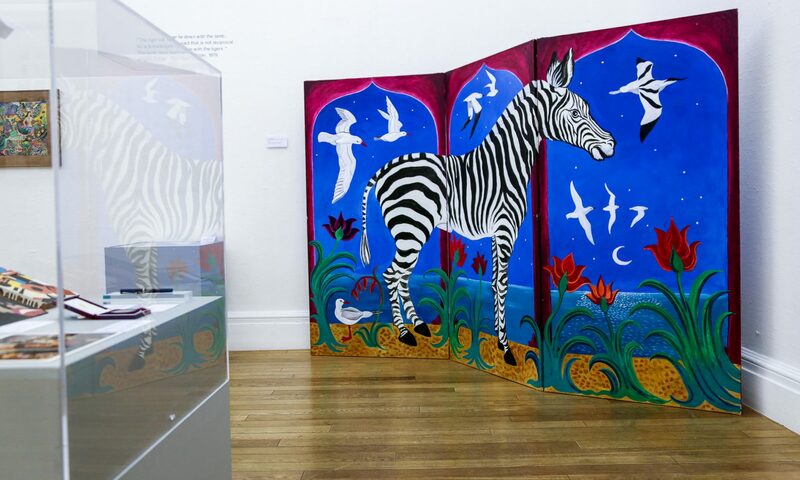 Images on this website are from the Strange Worlds: The Vision of Angela Carter exhibition, copyright of RWA Bristol.